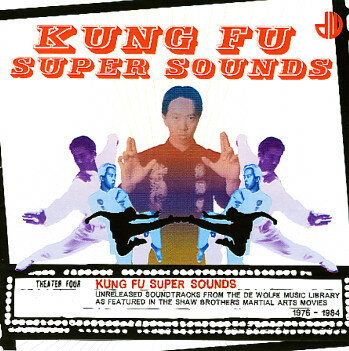 The forty-first Soundtrack of the Week is Kung Fu Super Sounds, selections from the De Wolfe Music Library that were used in Shaw Brothers martial arts movies, 1976–1984. My favorite cues are the haunting and ethereal selections that were dropped into the movie Heaven and Hell. Many other tracks are eerie and suspenseful, some funky in a '70s TV cop-show way. You may be reminded here and there of Goblin or Miklós Rósza or John Barry. Some of these cues could be dropped into a sci-fi or horror movie, and in fact Dawn of the Dead used some music from the De Wolfe library also.